Installed on new racking systems to protect uprights and prevent damage from impact and abuse to the lower part of the frame. 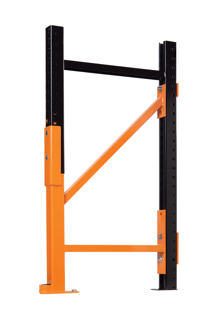 The DAMO KING is the equivalent of lifting the entire rack system and installing every upright on a rock solid pedestal that will stand to abuse much better than a regular upright ever could. We use high quality structural steel with a heavy gauge to offer true impact resistance. All of our units are shipped ready to be installed with all the necessary hardware. No welding is done on site. All of our products come with screw type anchors. They are time-saving and easy to install with no need for exact torque and are a fully removable and reusable anchoring solution. This process offers durability in a longer-lasting finish and choice in paint color. Our products are robust and built to withstand the harshest of environments so you don't have to worry about damage to your uprights. Our units are made to measure in height and size, but we also offer the possibility of choosing a special paint color, galvanizing the unit or modifying the foot plate when requested. Installed on new racking systems to protect uprights and prevent damage from impact and abuse to the lower part of the frame. It's the equivalent of lifting the entire rack system and installing every upright on a rock solid pedestal that will stand to abuse much better than a regular upright ever could. Our protection products are permanent, robust, and they come with a warranty. Lead time for Damotech products is short. Units are ready to ship in less than two weeks. Our protection units are made to measure for your specific needs. No matter the dimensions, finish (paint color, galvanization) or rack configuration, we'll custom build the units to your exact requirements. Because we strive to offer consistent installations regardless of location, our most experienced engineers and experts train and certify all our installers. The DAMO KING is installed on the racks before the installation of the new system. Our certified crews install Damotech products safely, with precision and care. They are solidly anchored to the ground with high shearing anchors, included with each kit. At Damotech, we stand behind our products. The DAMO KING comes with a LIFETIME WARRANTY against impact. It means that once installed, if your unit were to get significantly damaged, we would replace it, no questions asked. Made of 3/16" thick hollow structural steel. Solidly anchored with 4 high shearing capacity anchors. Can be customized to fit on any type of new rack. Made with a C3 channel and welded reinforcements for extra resistance. 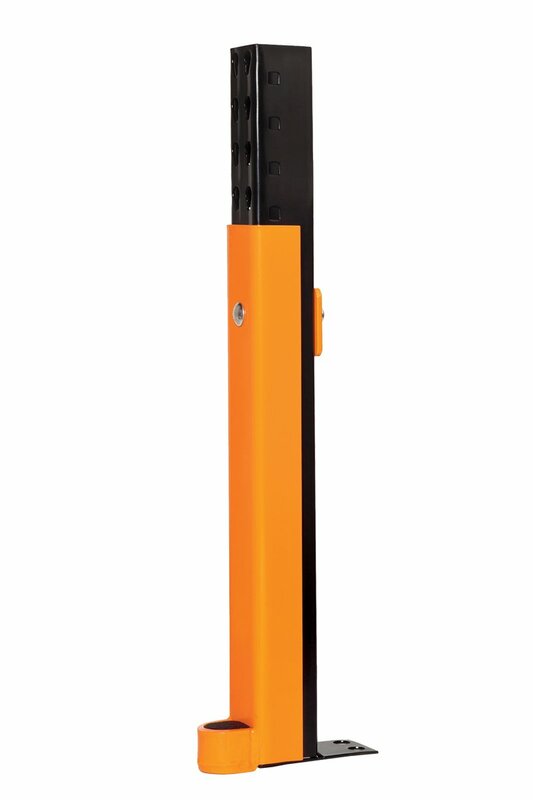 Offers a durable finish in standard orange color. Other colors available upon request. Extended foot plates and seismic foot plates available upon request. How long will it take to manufacture and ship the repair units? Lead-time is generally a few weeks. Can your products be installed in cold storage or freezers? Yes, they perform well in such environments, because they are robust, durable and quick to install. Can I choose the color of the DAMO KING? Yes. This product is painted orange, but we offer the possibility to choose another color, on request. Does this unit fit on any type of rack? Yes. The DAMO KING fits on any NEW pallet racking system, before it is installed. 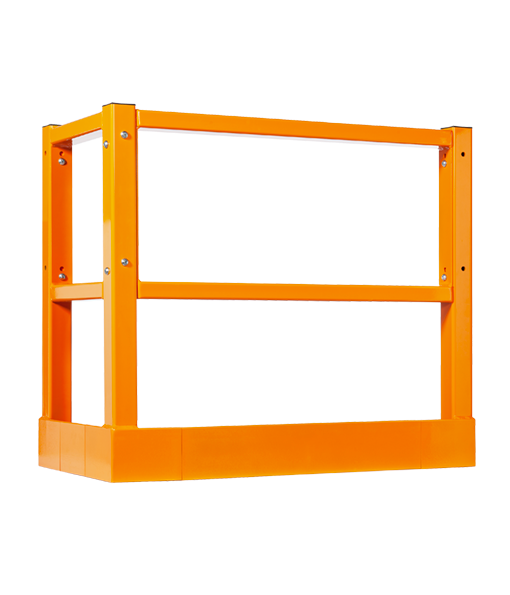 An efficient and economical way of protecting the base of your pallet rack uprights. To permanently repair and protect pallet rack uprights. 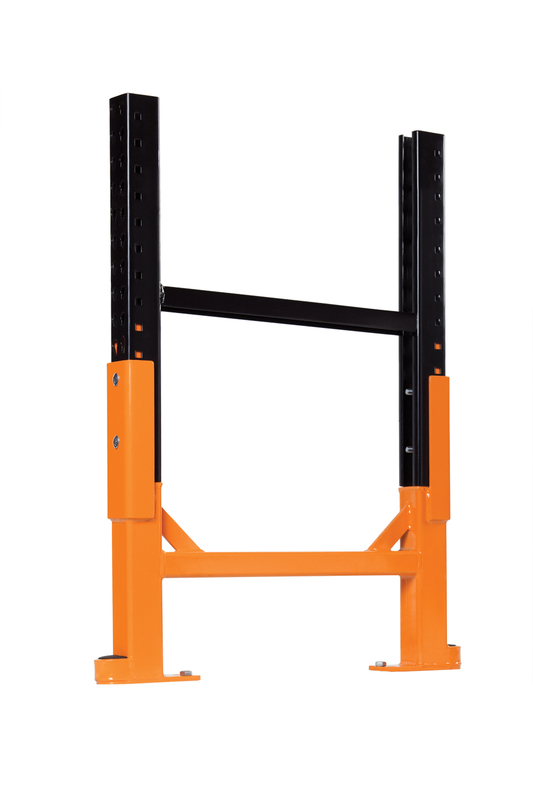 For the critical areas of your warehouse where damage would be disruptive and costly to fix. 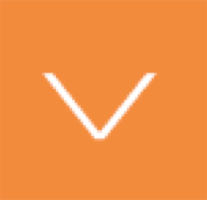 Want to know more about damage prevention, schedule an assessment, or get a quote?